Judge is appearing with David Jackson on Saturday 24th in Pavia, a town in South Western Lombardy, 35 km South of Milan. The occasion is another grand production of their show ‘The House That Cried’, staged on this occasion by UILDM the Italian Muscular Dystrophy charity, though, at the time of writing, Judge does not know exactly where the venue is in the town! Judge and David will be opening the evening with the same short set they have performed at other productions of the show in Italy, consisting of ‘Been Alone So Long’, ‘What Do The Lights All Mean’ and ‘Twinkle’, both from their other show ‘Twinkle’, and ‘Tonewall Stands’. They will be performing with local musicians. ‘ZOOT SUIT’ Judge’s most recent album is now available as a 12″ Vinyl LP. Released on the specialist vinyl label ‘Plane Groovy’, in limited edition with numbered and signed copies. Read about it HERE. Judge is now a published author! His book ‘The Universe Next Door’ published by CFZ Press. The book is not about music but is concerned with the Paranormal, a long-time interest of Judge’s. Judge’s new CD ‘ZOOT SUIT’ is released today, and at the present time, is available exclusively from our on-line shop. Over the last year, Judge has worked on ‘ZOOT SUIT’ with American arranger and producer David Minnick, and the CD is only his third full-length collection of separate songs to be released in the last 20 years. Read more about it on the Zoot Suit page. More interviews and reviews are on the Orfeas Reviews page. Here you’ll find a page with several photos, by Mark Uwland. Another performance of The House That Cried will take place on 20th November in Chiasso, Switzerland, at Cinema Teatro Chiasso. You can find the Chiasso-poster here (pdf, 3,6MB). David Jackson and I will be leading performances of ‘The House That Cried’ on 6th November in Como, Italy, and on 20th November in Chiasso, Switzerland. It has now been confirmed that the Como gig will take place at Teatro Sociale di Como, Via Bellini 3, Como, CO 22100 ITALY (theatre doors open 17:30, concert begins 18:00). The Chiasso gig will take place at Cinema Teatro Chiasso. You can find the Como-poster here (pdf, 2,5MB), and the Chiasso-poster here (pdf, 3,6MB). David and I will be performing a short set before ‘The House That Cried’ with a band of Italian musicians. We are planning to do four numbers; a Judge song, a Jaxon number, and two songs from David and Judge’s show ‘Twinkle’. Viale Brodolini, 18, Area MAB-ATO, localitá Rivabella, Lecco. Special guest – Judge Smith! I will be singing a couple of songs with them, both from ‘Twinkle’. Judge will, once again, be performing in his and David Jackson’s ‘The House That Cried’ in Northern Italy. The performance, with choir, brass, rock band and sound beam ensemble, will be on Friday 19th November in Besana Brianza, at the Edelweiss Theatre, Piazza Cuzzi, beginning at 19.00. Judge will be remaining in Italy to assemble and Master his new Songstory CD ‘Orfeas’ at LoL Studios in Nogaredo. ‘Orfeas’ is scheduled for release early in 2011. Alessandro Rovacchi has posted two movie clips on YouTube from the set that David Jackson and I did, with an Italian band, before the performance of ‘The House That Cried’ at Triuggio, Italy on 15th May 2010. There are at www.youtube.com/watch?v=MIVLVLzNXMY (‘Been Alone So Long’) and www.youtube.com/watch?v=0UbThtuRV4Q (‘Twinkle’ – Title Song). Judge & John Ellis are to play at the Specially Dedicated Festival at Halls Green, Weston, near Stevenage: Saturday, September 4th 2010. This festival is organised in aid of MacMillan Cancer Support and is centred around The Rising Sun pub in Halls Green. Tickets are available, price: £7.50, from We Got Tickets.com. Judge and John are scheduled to play on the main stage at 4.30 pm and are planning a 40 minute set. There is now a page online with photos from the concert David Jackson and Judge Smith did in Triuggio, on 15th May 2010.
on Friday 25 June. This will be the Johny Brown show Mining for Gold, from 11.30 pm to 12.30 (http://resonancefm.com/). Judge will be on for the full hour, with John Ellis, and they will be doing some live music, a couple of songs, at least. first part of the interview is going up on 14 June, the second part a few weeks later. Read Judge’s Newsletter about the distribution deal, The Climber, the live performance 15th May in Italy with David Jackson and the recording of the new CD on the page ‘Newsletter May 2010’. been at least another hundred child performers on stage. playing a part in creating the show. This review is no longer available. There now is a page online about Judge’s adventures in Bergen last Spring. Read all about the world premiere of ‘The Climber’, about the progress of ‘Orpheus’, and much more. of Bergen has taken on the project. male-voice choir (singing in English) and Double Bass. in the Italian Alps in the 1960’s. to post these on the site as well. the performance, with the intention of releasing it as a CD. been resolved, and that no important data was lost. with Michael Ward-Bergeman at the Luna Lounge. They did one song together, which was ‘Carpet Tiles’. You will find a page about that evening here. The date is Friday October 17th and the show is on at 11.30 pm. to be completed and released on CD some time next year. his acapella version of ‘Jerusalem’. Cocchi, Marco Olivotto, David Shaw-Parker and Lene Lovich. and the L-RAD album ‘Long Range Audio Device’. Judge Smith will be on Total Rock Radio on Saturday 17th November 2007, being interviewed by Malcolm Dome on his programme ‘Doom & Co – 4 decades of progressive rock, metal, psychedelia & blues’ which is on the air from 18:00 to 21:00, UK time. Judge will be with Malcolm from 19:00 to 20:00 and will be playing the current ‘Tribal Elders’ single, and for the first time, airing tracks from the newly completed album ‘Long Range Audio Device’, the first CD by L-RAD, a collaborative project featuring Judge and American artist Steve Defoe. This music represents a complete departure for Judge, and is not easily described, though the recent comment, ‘How can something that weird be so accessible?’ might help. ‘Long Range Audio Device’ will be available on this site before the end of the year. The London-based Internet station Total Rock can be accessed at www.totalrock.com. The first single from The Tribal Elders is now officially Released and is available on this very website. (I think you definitely need a copy.) Check out the new pages for the project, if you haven’t seen them yet. The Lecco Festival was apparently smaller than in previous years, but it was very much Jaxon-themed, and huge bill-boards carrying his photo were to be seen around the town. The festival centre, and our B&B, were high on the foothills of the extraordinary, almost vertical, mountains that encircle the whole place; in a medieval village, now a part of Lecco city. It was very picturesque. The hospitality was fantastic; the people, a delight, and Jackson was a dynamo of energy and inspiration. There were also some great concerts on a stage in a city centre square, including a band of local seventeen-year-olds, led by Jaxon, blasting their way through Man-Erg and Killer in a very creditable way. And my lecture on Artistic Inspiration? My reputation as a fascinating and dynamic speaker had obviously gone before me, and I managed to attract THREE people. It has been an entire year since I posted any news on this page. What a disgrace! What on earth has he been up to all this time? Perhaps he’s slowing down. Judge and David Jackson will be appearing at the Lecco Festival in Northern Italy on the evening of Sat 22nd September, when I will be singing the only adult role in ‘The House That Cried’, a children’s piece we wrote together some years ago. (A version of David’s ‘Beam Machine’ will also be performed). Now, it is with great pleasure that I can tell you that judge-smith.com now has a proper, active webmaster for the first time since the wonderful Harry Wykes died at the end of 2005. Laura Josepha Hendricx from the Netherlands is an IT professional with extensive internet experience, who seems to enjoy my music enough to make her want to take on the job of maintaining and improving this site. This is wonderful news for me, as I have been only too well aware that the site has been stagnating of late. Together, I hope we will be able to provide a more dynamic and extended web experience for visitors. NEW ALBUM JUST OUT. THE VESICA MASSAGE is Judge`s latest album and is a new departure for him an instrumental album of uniquely relaxing melodic music,designed to be the perfect accompaniment to Therapeutic Massage or other touch-based therapies. Soft piano, gentle strings, ethereal voices and sweet electronics perform memorable, original melodies in the relaxing, peaceful rhythms of lullaby and barcarole. However THE VESICA MASSAGE has an appeal far beyond the Treatment Room, and anyone who loves melodic music with the accent on deep relaxation will find much to enjoy on this CD. ………I can promise you there are no endless drones, and no pan-pipes, didgeridoos, tribal chanting, sounds-of-the-rain-forest, or whales. The album is the result of a long process of composition that has been as challenging and rewarding for me as anything I have ever attempted. I thought that I might be able to make a decent job of it, but I had no idea that such great tunes would fall out of the sky for me to use. There are a few melodies here that are as good as anything I’ve ever done………. A lot of my time over the last year has been spent working on a major project called ‘The Climber’. This is a forty-minute songstory, but it’s very different animal to ‘Curly’s Airships’. I became fascinated with the idea of writing a piece for me to perform with them, and ‘The Climber’ is the result. It is a story about a rather cold and tightly-wrapped English mountaineer who visits an alpine resort in the Trentino region to go climbing, sometime during the ’50s or ’60s. He has a life-changing experience when he ignores advice from the local guides, gets into trouble on the mountain, and is lucky to escape with his life. I sing the part of the Climber, in English, while the Choir, who represent the locals; mountain guides, hoteliers and so on, will sing in their local Tridentine dialect. It is, in part, a story about culture-clash and failed communication, and this conflict is mirrored in the dual languages of the text. It is a very complex project. My lyrics for the Choir have had to be translated into Tridentine dialect, and this difficult task has been carried out with great style and skill by Marco Olivotto of LoL Records, himself a native Tridentine speaker. As for the music, my own technical abilities fall well short of being able to orchestrate the Choir parts, and this work has been carried out by my friend Michael Brand, the arranger and conductor, who I worked with first on my (as yet unrecorded) Requiem Mass of 1975, and then again in 1992, as librettist of his ‘Pioneer 10’ cantata for Choir and Brass Band. It’s been good to work with this talented man again. We are still some way away from being able to say when, where or even IF the work will performed and recorded, but the overall plan is for performances to take place next Summer. Everything is still very much in the laps of the mountain gods, but I will certainly ensure that any concrete information is made available as it comes. This project is very important to me and, if all goes well, could be my most significant work since ‘Curly’s Airships’. Mine’s a large one. Cheers! There is a Judge Smith Yahoo! Discussion Group that has been running on the Internet since January 2005. It is an open group, and there are currently 56 members and over 300 posted messages. This Group is completely independent, and has no connection with any record company or with my websites (I’m not even a signed-up member.) However, it’s full of lively comment and debate, and I can thoroughly recommend a visit to anyone interested in my work. The existence of this group is the reason that I decided to close the Curly’s Airships Wireless Room discussion page for the time being. I got a tremendous kick from the Wireless Room and the wonderful people who posted such supportive, interesting and hilarious stuff there. All of you have my profound thanks. However, since there have been no big developments going on for a while, regarding ‘Curly’s Airships’ itself, the Yahoo! Group now seems a more appropriate forum, and there is no more sad a sight than a discussion page with no one posting on it. This was my first legitimate solo studio album, released by the wonderful Oedipus Recs in 1994, and though it was mixed by the redoubtable David Lord, I ran out of money before I was able to undertake a final Mastering process before the CD was manufactured. At that time, Mastering could be carried out properly only by experts, working in specialist Mastering Suites equipped with expensive and esoteric kit. The rights to the album reverted to me some time ago, and in 2002. I revisited David Lord’s studio, where the great man was now able to ‘Master’ with the best of them, using a new generation of computer software, and after eight years, we finally gave the album its finishing touch. The Mastering processbeefs-up, enhances and improves the sound of already mixed tracks, making weak stuff sound okay, and good stuff sound fantastic. It can be like turning-up the knob marked ‘Better’. Dome Of Discovery, with its strange mix of instruments and curious sound-world, certainly benefited in a big way. It was now louder, crisper and a lot more solid. However I did not then, or even now, feel really justified in re-issuing the CD, even though I’d love to get a better cover put on it as well! Re-mastered re-issues can be seen as ripping-off collectors, and there are no bonus tracks I could legitimately add to the thing. However, LoL Records’ new ability to offer albums for download on the iTunes website suggested a compromise solution to me. As you may know, Judge now has a relationship with LoL Records, the Italian record label who put out ‘The Full English’ last year. They are about to release a rather wonderful concert DVD, ‘Judge Smith – Live In Italy’, and they also now offer, among other things, a re-mastered, and very much better sounding, version of ‘Dome Of Discovery’ for download on iTunes. These good people are going to issue a ‘Judge Smith Newsletter’ from time to time to keep enthusiasts up to date on his activities. The first issue is available now; it’s colourful and illustrated, and frankly it makes our occasional e-mails to you look rather tame. It’s completely FREE, and Judge thoroughly recommends that you subscribe to it. You can do this simply by sending an e-mail to judgesmithnews@lol-records.com. You can just put the word ‘subscribe’ as the body of the message, or anything else you like! The Newsletter will be sent to you as pdf file of about 400 Kb. Your e-mails will be processed by a Human Being, not by a software robot, and we can assure you that subscribing will NOT result in you receiving additional Spam, or sales pitches for other artists. We would of course never pass your e-mail address on to a record company or any other organisation, and we will still continue to keep you informed directly of any important developments about ‘Curly’s Airships’, or any new projects in which LoL are not involved (in fact, you can expect another mail from us in a week or so) but meanwhile we hope you will take advantage of this new means of keeping in touch with Judge’s music, which is moving in some surprising and unexpected directions. Oh Boy! Further to the Round Robin mail I put out about my gig on Thurs Feb 2nd. I heard a few hours ago while rehearsing in London, that the cancelled Pete Brown’s shows for Thurs & Friday, so I WILL NOT BE STRUTTING MY FUNKY STUFF after all, and I’m pretty fed up about it. Please forgive my sending this, but one or two people might be planning to turn up. I hope to goodness that this catches you. Once again, sorry to mess people around, but this is truly out of my control. There is a rare opportunity to see Judge Smith perform live on February 2nd, when he will be appearing at The 100 Club in Oxford Street supporting Pete Brown and the Interoceters. Judge will be taking the stage with guitarist John Ellis and pianist/accordionist Michael Ward-Bergeman for a 45 min set. Judge’s website, www.judge-smith.com, the ‘parent site’ for www.curlysairships.com, remains incomplete due to the recent unexpected and tragic death of the Webmaster, Harry Wykes, who also designed the wonderful Curly’s Airships site. Despite this sad loss, of a close friend as well as his webmaster and IT guru, Judge anticipates being able to re-launch an expanded and improved site within a few weeks, but in the meantime, he would like to assure you that both sites remain fully operational as regards on-line sales, guest books and enquiries. Judge in Italy to rehearse for concert in Guastalla, Italy on 8th. Concert filmed for DVD. See Home Page for full story. There is plenty to read, including all the lyrics of the new album ‘THE FULL ENGLISH’ with Judge’s notes, and a long article about how the CD was made. There are also free downloads from six tracks of the album, and a Guest Book for any messages you may wish to leave. On Saturday 2nd July, He will be talking to Malcolm Dome on ‘Doom & Co Live'(“4 Decades of progressive rock, metal, psychedelia & blues”) between 18:00-21:00, and playing tracks from ‘The Full English’ and ‘Curly’Airships’. The station is available across the UK digitally, on Sky Digital channel 938, and it is streamed on the Internet at www.totalrock.com. Judge’s first record release since ‘Curly’s Airships’ is now available. In fact, this is the second Judge CD to be recorded at Studio Judex, his new digital facility, but it is the first to be released. THE FULL ENGLISH, was recorded for the Italian label ‘Labour Of Love’, and was mixed by Producer Marco Olivotto at their studio in Northern Italy. THE FULL ENGLISH is a album of songs, rather than a songstory like ‘Curly’s Airships’, and it’s a single CD rather than a double. It features Curly guitarist John Ellis, and the American accordionist, pianist and organist, Michael Ward-Bergeman, with another Curly crew member, René van Commenée providing drums and percussion. Featuring mostly acoustic instruments, the album has an ‘unplugged’ feel, and showcases a collection of Judge’s songs that are as original, unusual, and instantly memorable, as one would expect from this unconventional and surprising artist. It is, perhaps, his most immediately accessible album to date, and despite having a very different sound, it certainly will not disappoint lovers of ‘Curly’s Airships’. A new website www.judge-smith.com has been launched, and THE FULL ENGLISH is now on sale there. 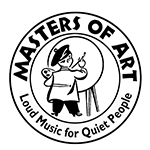 It has the same Webmaster and will provide the same ‘Masters Of Art’ personal service. The new site will cover Judge’s whole career, and will feature extensive articles, galleries, interviews and music downloads. It will of course be linked to the Curly’s Airships website www.curlysairships.com, which will be having a spring-clean to celebrate. The site’s full list of features will be uploaded over the next couple of weeks, but the on-line shop, ‘Judge Smith’s Emporium’, is open now for business. Judge is still committed to exploring ways to bring Curly to wider audiences, both in its recorded form, and as a live performance piece, and at least one exciting new initiative is currently being pursued. Meanwhile, the ‘Curly’s Airships’ CDs continue to sell steadily around the world, and they generate an overwhelmingly enthusiastic response wherever they are heard.